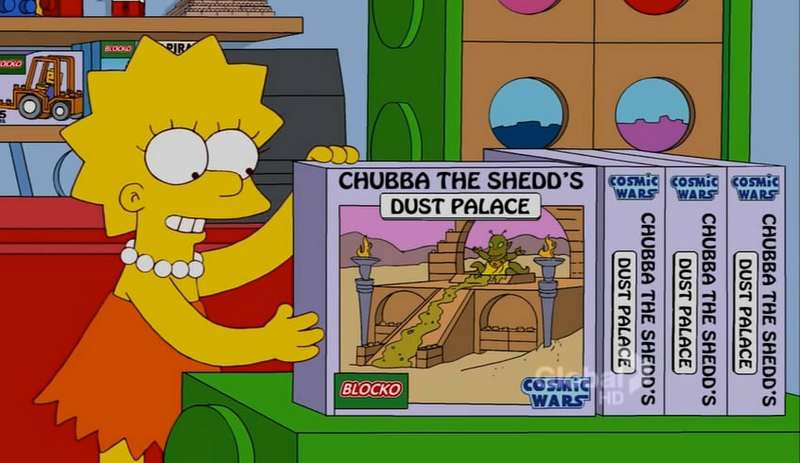 I just love these couch gags by guest stars at the beginning of recent episodes of The Simpsons. You may recall my gushing over these from last year. 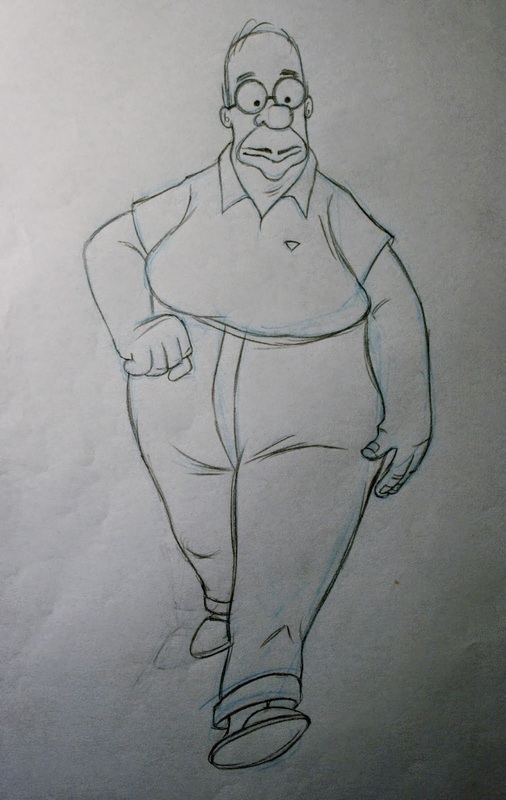 Guillermo Del Toro, Bill Plympton, John Kricfalusi, Banksy - all of them provided their own unique openings to the theme song, many of which deviated from the show's previously rigid character designs. The last batch of gags we watched came out over the course of a few years. Now they're arriving with greater frequency. This new set was seen over the past couple of months. Sylvain Chomet broke the Internet 7 weeks ago with his beautiful and detailed look at FOX's first family, illustrated in a similar old-timey vain to what you'd see in his feature films like The Triplets of Belleville and The Illusionist. This was at the beginning of the March 9th episode of The Simpsons called 'Diggs'. It's a brilliant minute's worth! And right away, you recognize Sylvain's own stylistic "je ne sais quoi" before he's even credited. In an article I was reading in the UK's Beak Street Bugle, I learned that Sylvain and Simpsons' creator Matt Groening knew each other many years ago from the film festival circuit. 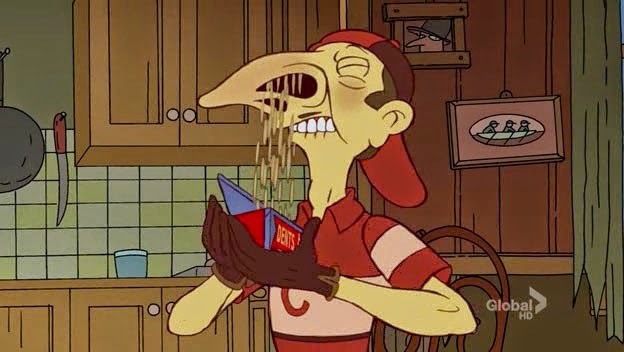 Sylvain also met Simpsons' voice actor, Harry Shearer, by chance, who admitted to being a big fan of Sylvain's work. But it wasn't until a parody from a Season 22 episode called 'Angry Dad: The Movie', that The Simpsons became top-of-mind for Sylvain again. Someone brought the clip to his attention, which he loved. You can check it out at the 11:40 mark by clicking the pic below. In fact, the whole episode is worth a view for its skewering of the animation industry in general. Sylvain was later asked by The Simpsons crew if he'd like to contribute a couch gag, which he agreed to. When asked for guidelines and input, the show runners gave no specifics, to his surprise. Creative carte blanche! So Sylvain decided to create a French version of The Simpsons, filled with stereotypes like snails and accordions. A picture of French president Francois Hollande hangs on the wall, as does the SS France which replaces the usual framed boat painting that hangs over The Simpsons' couch. Perhaps most interesting is the fact that all of The Simpsons are wearing glasses. This was done because Sylvain's characters never have large eyes. By giving them glasses, it better fit into his character design. Check underneath the pic of l'Homer if you'd like to watch a short behind-the-scenes video re: Sylvain's process. The next guest contributor I noticed recently was an unknown by the name of Katie Hemming, who received credit as "Canadian Couch Gag" writer after an episode that aired April 13th called 'Days Of Future Future'. This seemed weird to me because the timing wasn't long after the last Simpsons couch gag contest, which I told you about in my last couch gag post. That winner (Ray Savaya) was flown into Hollywood to meet The Simpsons crew and get autographs. But as it turned out, The Simpsons crew enjoyed Katie's submission much better (ouch! - Ray's win was decided upon by fan voting), so decided to use her gag as well. The Burlington resident, who attends film school in Toronto, didn't get to go to Hollywood as a result of this, which is kinda bunk. 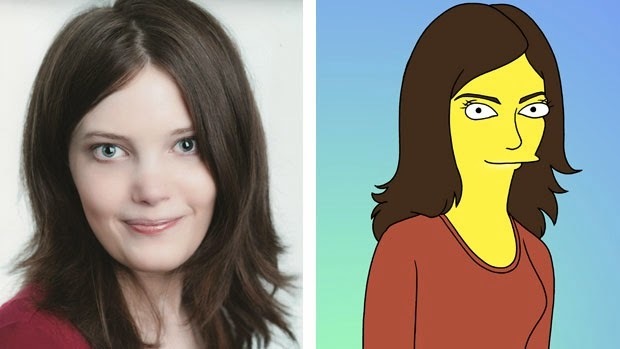 But she did receive a Simpson-ized photo of herself from the show's animators. Sure, she could've made one herself on-line by uploading a photo, but...er...uh...okay, let's face it. She was totally screwed! But she did earn additional bragging rights, as her couch gag was aired globally, not just on Global (in Canada) like Ray's clip was. The animator behind this trip through Homer's brain isn't as well-known as a lot of the other previous talents, like Banksy or Bill Plympton. 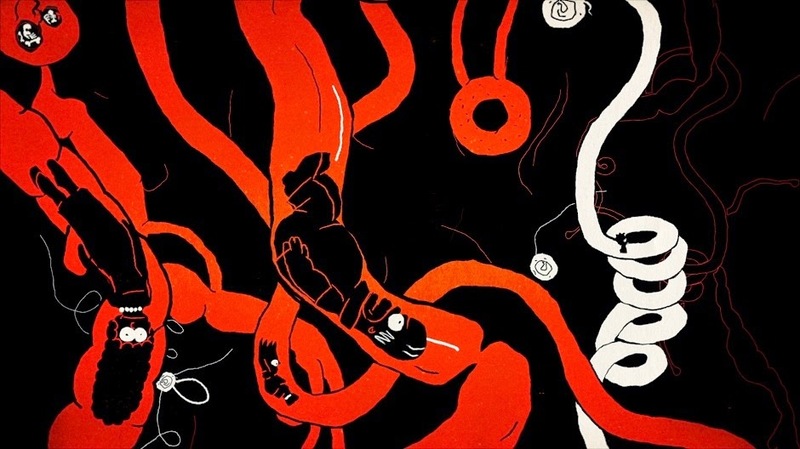 Poland's Michal Socha based his Simpsons couch gag on one of his similar-looking 2008 shorts called 'Chick', which he said was modelled to emulate the graphic title design of Saul Bass. Both clips are a mixture of 2D and CG animation. In an interview with Animation World Network, Socha talked about how he benefited between the 2 methods. "At the beginning, we thought we could animate the Simpsons family with classic frame-by-frame technique. After a couple of tests, we have found that we are not as good 2D animators as we thought! Our tests tended to lose characters and proportions. That was not acceptable. In this case, it was very important that each black silhouette reminds you of Homer, Bart or Lisa. Classic frame-by-frame technique could take much longer to finish the couch gag. We wanted to keep this animation in 2D style, [which] is why we mixed those 2 techniques to achieve a better result." Their original couch gag idea didn't pan out, but planted the seed to look into Homer's inner workings. "The origin of the idea for "inside" couch gag was just 2 simple drawings," he said. "Family laying on the couch. Tomato slice falls down from the top of the screen, then cheese, ketchup and the top of sandwich. Big hand grabs sandwich with family, and we see that it is Homer that eats family sandwich. It was too short for a couch gag. We have to ask questions [about] what could happen after? We have found [a] whole bunch of ideas [about] what could happen inside the body of Homer." I can't wait to see what's cooked up for the couch in weeks and years to come, which so far includes up to 26 seasons. On a related note (not couch-related, but certainly Simpsons-related), you may be interested to know that a Simpsons "LEGO Spectacular" will air next Sunday, May 4th. Called 'Brick Like Me', the 550th episode of the series will revolve around Homer trying to make a choice between a utopian LEGO universe and the "real" world. Not unlike the set-up of The LEGO Movie, I guess. 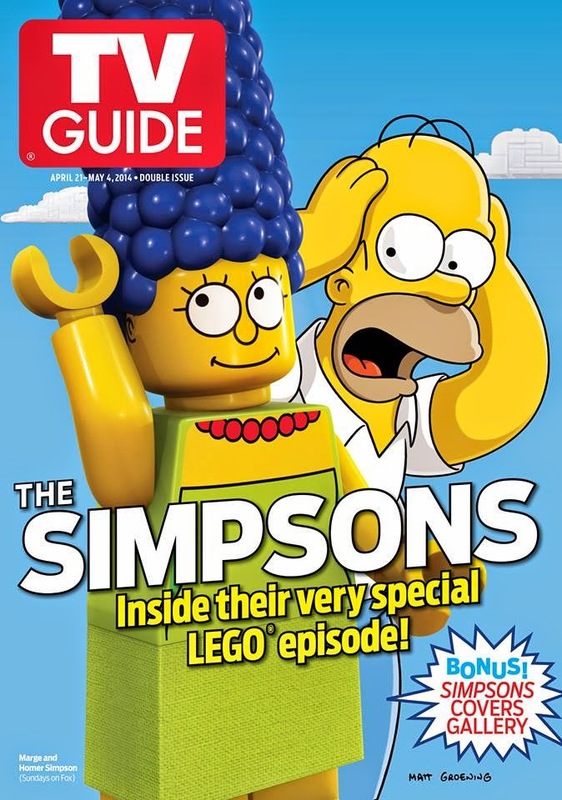 The episode was made in official partnership with the LEGO Group, who will be releasing Simpsons LEGO sets and official collectible mini-figures. They've been working together on the episode for a couple of years now, but apparently the relationship between the 2 parties started long before, when LEGO approached The Simpsons about doing...you guessed it...a couch gag. For being such a big brand, you have to respect the LEGO Group for seeing potential in comedic trust. "We're pretty picky about how our brand is represented," said Jill Wilfert, the LEGO Group's VP of licensing and entertainment, in an interview with TV Guide. "No one at the show is used to dealing with creative output from the outside, so there was certainly some back-and-forth to get it all right. But, at its core, the LEGO brand is all about creativity and imagination. We respect that in others. "This was a chance for us to be a little edgier than we might normally be," she said. "And because we'll likely bring younger viewers to The Simpsons, it was an opportunity for them to be more family-friendly." As someone currently working in marketing and promotions, this gives me new-found hope in building (pun intended) a better tomorrow between clients and the brand. If The Simpsons and LEGO can work it out, so can we, right? That's how I'm going to end every meeting from now on. Hey, wait a minute! Is LEGO in any way related to BLOCKO? And will it have the longevity to prevail during the holiday shopping season?